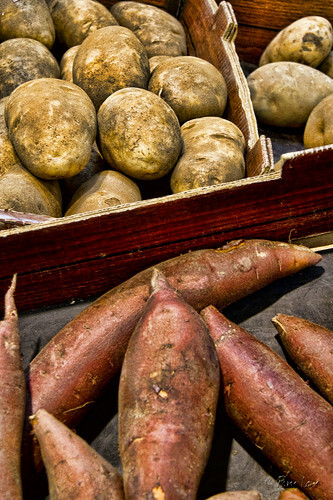 Downey Daily Photos: How do you take your potatoes? This coming Thursday is Thanksgiving in the United States, and potatoes are an important part of the traditional Thanksgiving meal. (For me, they're the most important part, since I'm not crazy about turkey.) Our traditional meal includes mashed potatoes, scalloped potatoes, and sweet potatoes. If you Google "mashed potato recipes," you'll get over 8 million results, and over 5,000 how-to videos. No wonder the potato bins at the grocery store were nearly empty this weekend.